This deliciously frank memoir by high-profile business entrepreneur, Lawrence Wosskow, charts his personal history in tandem with the dramatic successes and challenges of his ground-breaking career in the food and leisure industries, including his attempt to rescue British icon, Little Chef, which was abruptly curtailed by a near-fatal heart attack. Heart of the Deal chronicles the adventures that brought him to this crucial junction, from being appointed youngest ever department buyer at Marks and Spencer, through revolutionizing the ice-cream business, his wheels and deals in the fast-food world, and then on through his life-changing crisis to a “second life” focused more on charity, fund-raising, and family (with a healthy dose of speculation thrown in) that was nevertheless marred by the betrayal and prosecution for fraud of his most trusted business partner. Lawrence Wosskow has consistently created headlines throughout his adventures. 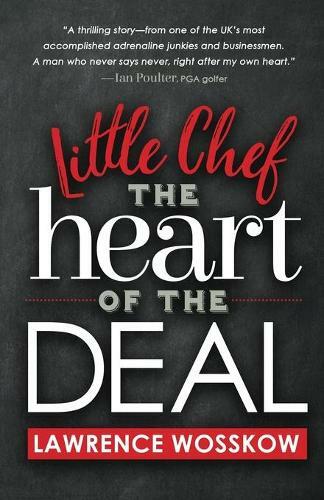 Heart of the Deal offers a firsthand account of Wosskow’s adrenaline-fueled life and lessons learned.